You just need to pick one cloud vendor: Most organisations have diverse needs. The variety of applications, data analytics, security, development and governance etc. will mean that it is likely that a combination of cloud platforms would provide the most effective way of delivering their requirements and supporting business strategy. It will make sense for some applications to be provided as SaaS and it is likely that different areas of a business will benefit from hosting on different providers as it will make the most of features, different capabilities and cost models. Tools such as Cloud Monitoring as a Service allow you to view all of your services and their performance through a consolidated view. Cloud is less secure than on-premises. Cloud isn’t inherently less secure than on-premise. As with on-premise the key to data defense is good security practice. Cloud providers take great care to monitor, apply systematic security and patching to their platforms to protect their systems. 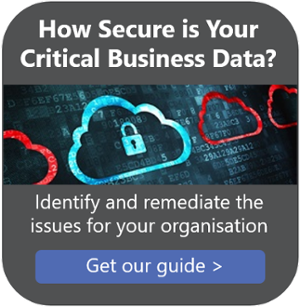 You have to remember, however, that responsibility for protecting your corporate data in the cloud remains with you. So it is essential that you understand the risks, provision accordingly and put the required security controls in place. It is also important that you ensure your public cloud installation is configured correctly and that any API’s or applications you have developed have been hardened. Ability to burst: many people assume that with cloud they are buying fixed capacity. They don’t realise that hybrid cloud provides the ability to burst (i.e. scale up and down) as needed. You only pay for what you use, and can add or reduce capacity as your needs change. This gives you fixed and predictable costs, flexible billing, internally managed service delivery and clear, internally developed, robust SLA's. You can also add more capacity for a specific project. If your organisation needs 100 virtual servers for a month, for example, these could be provisioned and ready for use within 48 hours. There is no need to buy new hardware, storage, network equipment etc. ; you simply turn it on and, more importantly, turn it off when you no longer need it, only paying for the time used. Customised packages: many organisations think that they have to buy a standard package. Again this is untrue – the better managed cloud services can be customised to your organisation’s characteristics, so you get exactly what you want while taking advantage of cloud’s low costs, scalability and flexibility. You can then combine this type of service with ‘vanilla’ services to create your own hybrid to suit your needs. Growth of standards: as mentioned earlier, there are now standards in areas such as interoperability, web, authentication etc. and these will help to increase the spread of hybrid cloud services. Standard offerings: Public cloud does come in standard packages which means many organisations think that they have to buy all cloud as a standard cloud package, however, the better managed cloud service providers can indeed customise services to your organisation’s characteristics, so you get exactly what you want while taking advantage of cloud’s low costs, scalability and flexibility. You can then combine this type of service with ‘vanilla’ public cloud services to create your own hybrid solution to suit your needs.